In today’s world, it is never too early to begin teaching your child about online safety. In a recent study, it was found that 97% of all children under the age of 4 were using mobile devices and nearly half of them were using more than one device. By the age of three or four, nearly 37% of all children will browse the web, use mobile devices to play games, and watch videos for several hours a week. In addition, nearly 20% of all one-year-olds use a tablet and 28% of all two-year-olds do not need help using mobile devices. Nearly 85% of all mothers indicated that they use some type of technology to keep their children busy. Considering these statistics, it seems that it is never too young to start teaching children about online safety. Please visit the aforementioned URL for more information. Thanks to Mae for this contribution. Real people, real stories, real change. 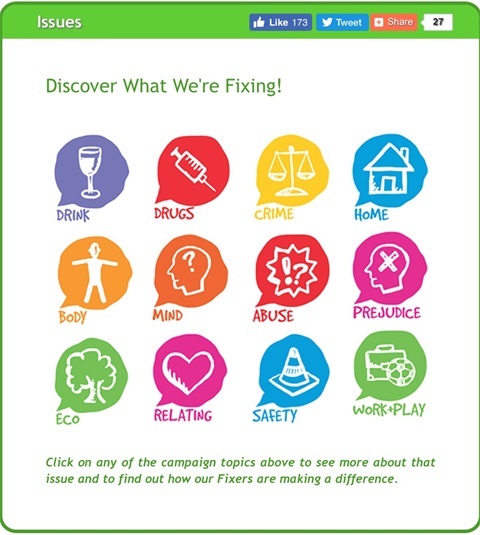 Fixers have different backgrounds, interests and life experiences, and come from every corner of the UK. But they do have several important things in common. They are motivated by a desire to act on an issue that is important to them or a strong desire to help other people. They also have a voice that they want to be heard, whether that’s on eating disorders, drugs, offending, cyberbullying or any other issue that is concerning them. Becoming a Fixer allows that to happen. So you’re interested in becoming a Fixer? Great! If you’re aged between 16 and 25, and you have a positive message that you want to use to inspire others, let us know! Whether it comes from your own personal experiences, or it's just something you feel passionate about, you can use posters, leaflets, films, stage your own events, or even star in your own music video to get your message across. Just let the Fixers know how you want your voice to be heard and we'll give you the stepping stones that you need to build a better future. please have a look at the website at: http://www.fixers.org.uk/home/issues.php for more info on how to tackle issues such as drugs, crime, body image, safety, just to name a few examples. We are the leading London charity working to prevent and address gang violence, vulnerability and sexual exploitation. We provide needs led intensive support, early intervention and mentoring through our extensive, pan London services. You can find out more about our history and where we’ve come from here. Our vision is a world where all young people can thrive, free from exposure to gangs, exploitation and crime. Safer London also provides information about safety in public places. Some of their links are below. • http://www.londoncp.co.uk/ provides full child protection procedures and practice guidance for safeguarding children. 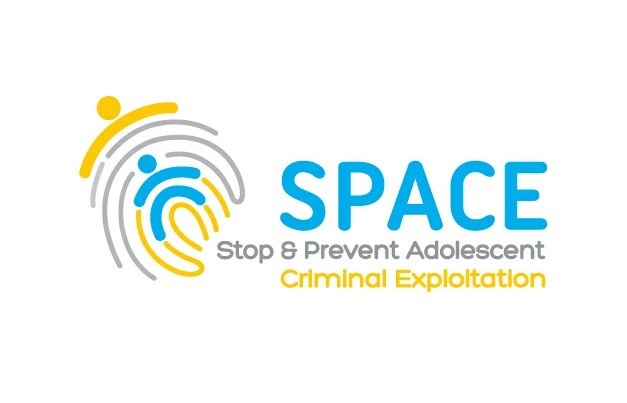 • http://www.paceuk.info/ PACE: Parents against Child Sexual Exploitation. • http://mesmac.co.uk/blast Blast: Blast supports and works with boys and young men who have been, are being, or are at risk of being sexually exploited. • http://www.barnardos.org.uk Barnardo’s: Children’s charity. The NSPCC provides a free 24-hour Child Protection Helpline, staffed by experienced social work counsellors, which provides confidential counselling, information and advice for those in England, Wales and Northern Ireland. The telephone number is 0808 800 5000. If using this service, please state at the outset that you are an adult seeking advice and information so that your call can be directed to an appropriate person. Find advice on all aspects of family life from bonding with your new baby, dealing with tantrums, positive discipline, bullying, communicating with teens and divorce and separation. You can also chat to us online for support or call our confidential helpline on 0808 800 2222. Family and Childcare Trust- national childcare charity working to promote high quality affordable childcare for all. There for you advisory service- provides support and advice to individuals and families involved with or being investigated by their Local Authority Children's Services Department. NHS- advice on female genital mutilation. Action for Prisoners' and Offenders' Families (now part of Family Lives) - lots of information for families with member in prison. Offenders' Families Helpline - this free helpline is now run by Family Lives and is a free service to anyone with a family member in prison. Prisoners abroad– advice for anyone with family member in prison abroad. 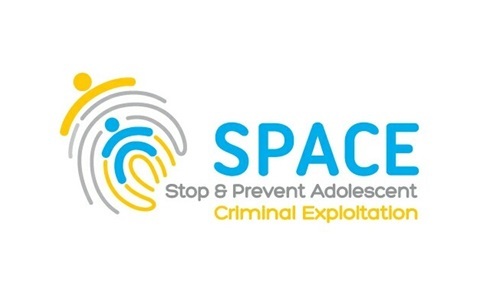 SPACE is a self-funded not-for-profit organisation founded in January 2018, in response to the national prevalence of Child Criminal Exploitation (CCE)and the County Lines phenomena which has entrenched thousands of young people into serious violence and organised crime. Please visit http://www.bespaceaware.co.uk for more information. Missing People and St Giles Trust SOS have been jointly funded by the Home Office to deliver a project which scopes and tests new ways of working with young people who are criminally exploited to become drug mules. 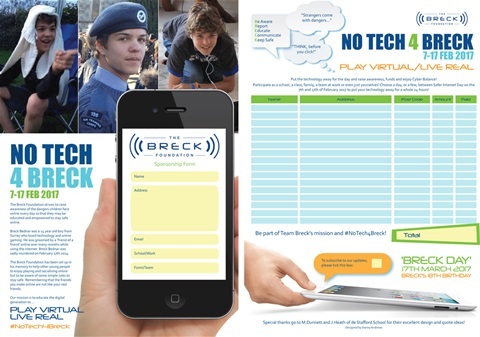 This project will test a Missing People-led pilot of an intervention – called SafeCall. SafeCall is a scheduled telephone call to children who are referred to us by professionals working with them. They will be offered a non-judgemental, safe space to talk about their experiences in confidence. We will reassure them that there is a way out, support them to explore their choices, and help them formulate a safety plan. The SafeCall service will also reach out to the child’s parent or carer, offering them a chance to debrief, access emotional support and be guided on how to keep their family safe in the future. If the child has been away from home, suspected to have been involved in county lines and would like further in-depth support (outside of the return home interview) - you can refer the child to our SafeCall programme following their consent. 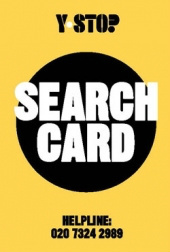 Please contact us by sending an email to safecall@missingpeople.org.uk OR call 0208 392 5710 OR online at www.missingpeople.org.uk/safecall. If the child does not want to access this service, please sign post the child to Missing People’s runaway helpline website www.runawayhelpline.co.uk for more information on support they can access. We know that for family members with a child who is being criminally exploited by a gang and is away from home it can be a really upsetting and worrying time. You can also refer family members, with their consent into this service by sending an email to safecall@missingpeople.org.uk or call 0208 392 5710, or you can make a referral online at www.missingpeople.org.uk/safecall. Project lead – Becca Morley- Please direct all communication via the SafeCall information below. control, relief, release and better. fear or lack of confidence. The BLAST Project is dedicated to tackling the grooming and sexual exploitation of boys and young men. We are passionate about ensuring services are available for boys and young men that are equal, inclusive and accessible to them as males and that the issue of male child sexual exploitation (CSE) along with associated myths and barriers and are addressed. Our ethos and service user centred approach means we put the needs of the boys and young men accessing our service first by following their lead, building a positive relationship with them and providing information and support aiming to increase their safety and understanding, lower their CSE risk and provide them with the skills and resources needed to engage in safer behaviours, make safer choices and deal with the consequences of CSE effectively. Whilst working in partnership with other services and sharing safeguarding concerns appropriately we maintain our service user centred approach by acting as an advocate for the boys and young men accessing our service, working in a way that promotes their welfare, champions their rights and respects their choices. We provide services locally across Leeds and Bradford with other services available nationally and we have provided support and information to thousands of boys and young men since 2002. The BLAST Project is regularly invited to represent boys and young men at local and national conferences, forums and subgroups, including being invited to feed into policy development with the Department for Education. Please view our video below and contact us to find out more. Please view our YouTube video below which highlights the grooming and sexual exploitation of boys and young men and how professionals sometimes fail to practice equally and fail identify the warning signs. There are some really good games on this site that are therapeutic. Definitely worth a try! Play our game and feel your worries float away. Pop the right bubbles before the time runs out. Send your worries into the sky and watch them disappear. Worried or frustrated? Write on the wall and then watch your worries crumble away.